An international consortium called The Supernova Cosmology Project has announced what it calls the 'Union2' compilation of hundreds of supernovae type 1a, the largest collection ever of high-quality data from numerous surveys that are searching for and studying this particular type of stellar explosion. Analysis of the new compilation significantly narrows the possible values that dark energy might take, but not enough to decide among fundamentally different theories of its nature, and serious problems still remain. The concept of dark energy was dreamed up in 1990 following work by two competing teams attempting to measure how the expansion of the universe has changed over time. 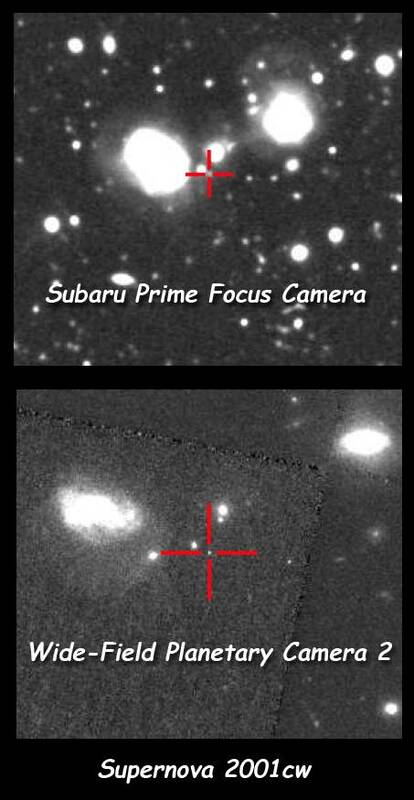 These teams had used detections of supernova explosions known as type 1a. The intrinsic brightness of these exploding stars is reasonably standard, and so the apparent brightness as seen from here can then provide a good estimate of distance. Both teams found that the prediction of big bang theorists that gravity is slowing down the expansion of the universe was false and that in fact the expansion must rather be accelerating. Since there was nothing known that could explain the findings, an unknown and invisible substance, dubbed 'dark energy', was proposed as the culprit: vast amounts of this dark energy throughout the universe could be counteracting gravity and repulsing matter. Saul Perlmutter, leader of the Supernova Cosmology Project, says, "We've used the world's best-yet dataset of type Ia supernovae to determine the world's best-yet constraints on dark energy. We've tightened in on dark energy out to redshifts of one" — a distance of about eight billion lightyears — "but while at lower redshifts the values are perfectly consistent with a cosmological constant, the most important questions remain." That's because possible values of dark energy from supernovae data become increasingly uncertain at redshifts greater than one-half, the range where dark energy's effects on the expansion of the universe are most apparent as we look farther back in time. Says Perlmutter of the widening error bars at higher redshifts, "Right now, you could drive a truck through them." "There is a huge discrepancy between the theoretical prediction for vacuum energy and what we measure as dark energy," says Rahman Amanullah, who led SCP's Union2 analysis. "If it turns out in the future that dark energy is consistent with a cosmological constant also at early times of the universe, it will be an enormous challenge to explain this at a fundamental theoretical level." Indeed, Amanullah's comment is something of an understatement. The measured value for the cosmological constant is smaller than predicted by quantum field theory by a factor of 10-to-the-power-of 120. This discrepancy has been termed "the worst theoretical prediction in the history of physics!"